A corrected version, updated in 2019, will soon be published by L’Harmattan. Historically, as bearer and mixer of ancient African and European musical traditions, the banjo is an important musical instrument. 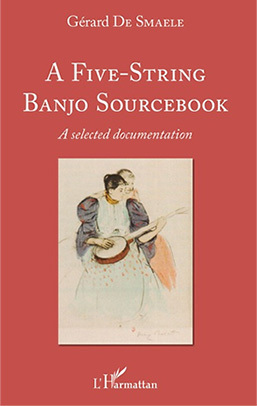 A Five-String Banjo Sourcebook will stand beside Banjo Attitudes (Paris: L'Harmattan, 2015), its companion book. Since its importation to the US by African Slaves and the inception of an "American version" by Euro-American musicians during the 19th century, the five-string banjo became "America’s instrument" ; and if its controvesial history covers all the aspects of the American musical life, it also reflects its social and political context. 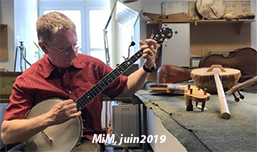 Anyone interested in playing the banjo, or involved in doing historical or musical research on the instrument, will be confronted by the huge amount of documentation publised on the subject. The numerous references listed in A Five- String Banjo Sourcebook, try to cover all facets of the instrument, from the banjo manufacturers and workshops to the stage... We hope that these pages will help the users of this compilation to understand all the subtelties of a fascinating musical instrument. The American 5-string banjo is many things: a physical object of material culture with roots back to Africa and farther east, and a complex and ongoing development in North America; an equally complex musical culture ranging through vernacular, classical, and popular musical idioms and histories; and connections to social, cultural, and artistic networks. One volume cannot encompass all this, but Gérard De Smaele's earlier work in French, "Banjo Attitudes", comes close. In the meantime we are lucky to have in hand De Smaele's exhaustive compendium of history, research. and commentary on the banjo that will inform and nourish inquiry and interest.